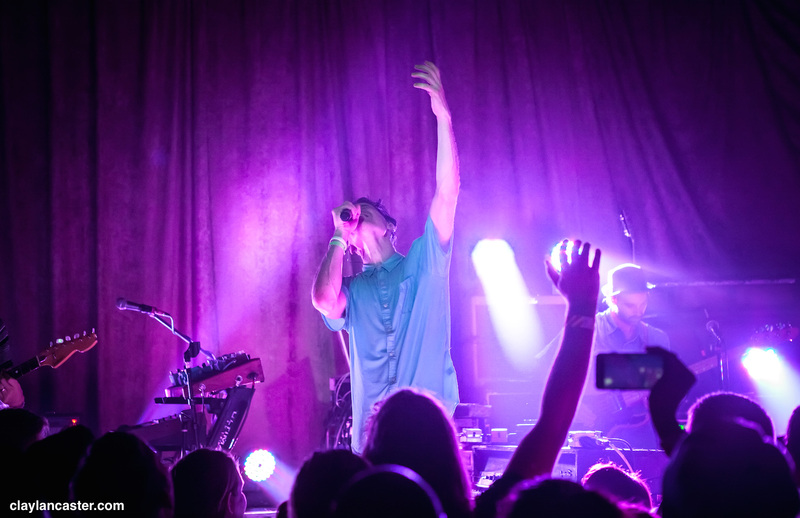 New Orleans-based band Mutemath performed a sold out show last night at the Brick & Mortar Music Hall in San Francisco, on Back to the Future Day (October 21, 2015). Drummer Darren King joked with us outside that their set would consist of solely Huey Lewis songs to celebrate, but the band did spin a good chunk of the movie’s soundtrack as background music before taking the stage around 10:30pm. 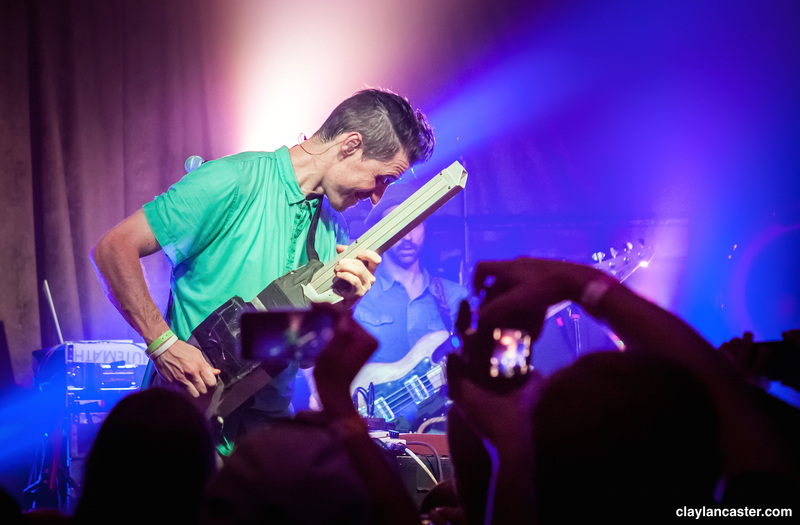 Mutemath played a lengthy set, moving through a handful of tracks from each of their albums, as well as 4 from their upcoming Vitals next month. 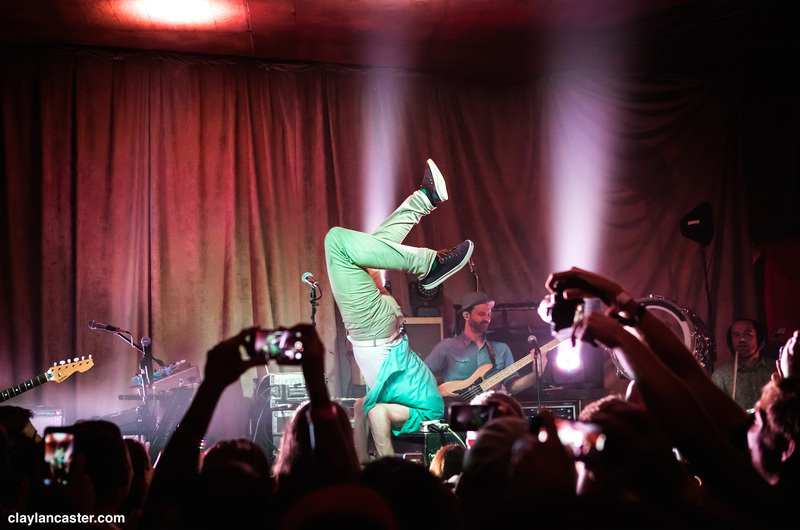 Despite the intimate venue, singer Paul Meany still exploded into his signature keyboard hand stands, and even crowd surfing on an LED-clad mattress before climbing on top of the venue’s bar. The tired, sweaty crowd got their fill however with a monster high-energy encore set.